I did something a few moments ago, that I haven't done since this blog's inception. I reread a few of my past posts, and having done so, I realize that my long diatribes offer little in the way of useful information. Nearly all my posts are particularly personal and some are entirely anecdotal. More than a few are verbose to the point where I imagine readers, lonely bug-chuckers all, falling asleep at their keyboards with puddles of drool spreading out across their chests. 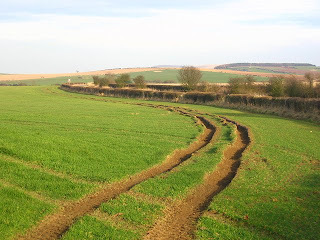 Even though I began this blog strictly for my own sake, I would like those few readers who occasionally visit to take something away they might genuinely use. 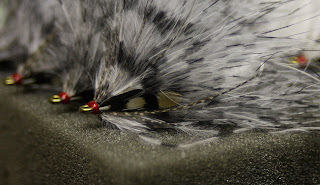 As such, I've decided to run a weekly (bi-weekly, tri-weekly, whenever) fly tying column, which I've ostensibly titled, Favorite Flies. I realize that neither the idea nor the title is particularly original, but Favorite Flies does get to the point. 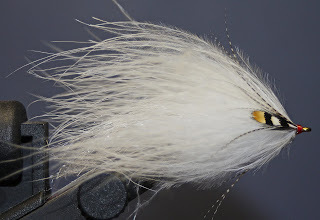 Once every so often I'll post the recipe and instructions for one of my favorite flies. 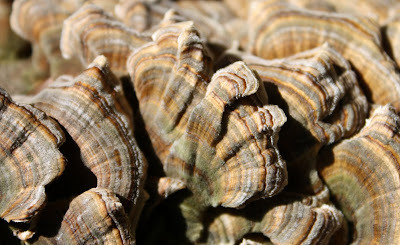 If I can get a grip on the photography, I'll post photos as well (I'm new to macro-photography, and I must admit that I am struggling). The flies I'll showcase won't likely be anything particularly innovative, but you won't usually find replicates in an Umpqua or Montana Fly catalog. I first saw this week's submission in the streamer box of Shawn Brillon, a good friend and the fly-tying product developer for Orvis. As best I can tell, the pattern draws on the work of Jack Gartside, the Heron series frequently found on the streams of New England, and various Pacific Northwest steelhead patterns. 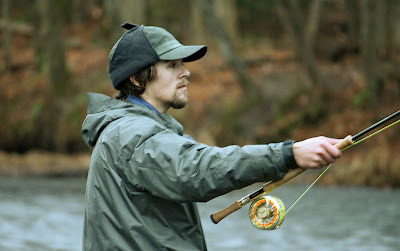 It is relatively easy to tie, but can be a little tricky to tie well (don't crowd the head). In white and barred-white, it is one of my top two streamers. When fishing this fly, remember that it is meant to be stripped ... like freakin' crazy. Of all the streamers I fish, this one provides the most visual experience in that it runs fairly shallow, and often draws charges from some very large fish. Enjoy the tying. Good luck with the fishing. The key to forming a nice small head on this fly is to leave plenty of space for the gadwall, and to wrap only the thinnest stems near the eye of the hook. The fine thread is a real help. I also strip the fibers from one side of the gadwall, both to reduce bulk on the head and give the fly a slightly sparser appearance. A great video not only for its steelhead footage, but also for the ... uhhh ... riveting commentary. Everything you'll see was recorded the week before Thanksgiving on New York's, Salmon River. Enjoy! My friends and I spent our formative years on the banks of the Hudson River. For the better part of our collective childhood and early adolescence, we explored the rivers' coves, eddies, runs and pools (late adolescence was spent exploring girls). In time, we came to understand the river, and to know its fish (we still haven't a clue about women). 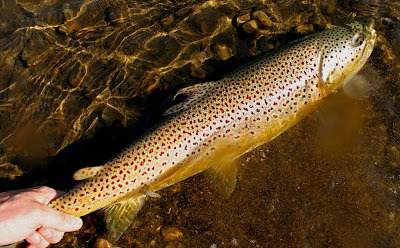 As bicycles gave way to Chevettes, Horizons and Firenzas, we were able to apply that understanding to the Battenkill, its tributaries, and its trout. Stillwater, by way of contrast, was always something of a mystery. Lakes and ponds lacked the character of rivers, they lacked motion, and - perhaps most importantly when we were very young - all the area's lakes were just outside the reach of a reasonable bike ride. I suppose it was this matter of accessibility that jaded us to lakes and ponds, and is probably the source of a bias that exists to this day. We generally avoid stagnant puddles, and favor flowing ditches. Now that we're older, each of us is a dedicated fly rodder, and as is the case with most bug chuckers we are fascinated by running water. 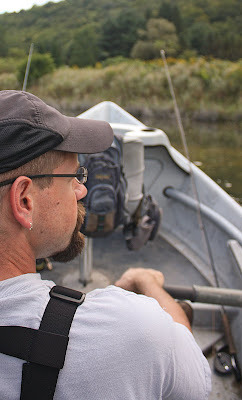 We've bounced all over the country looking for Salmo Trutta, Oncorhynchus Mykiss, and Salvelinus Fontinalis. 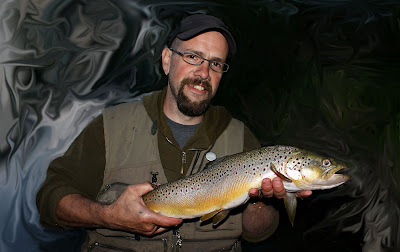 Like so many kindred spirits we've an especial appreciation of big trout and as I'm sure you're aware, the biggest trout are generally found in lakes. Herein lies the rub. A lake fish has advantages a river fish simply does not. Foremost, they haven't continuous current with which they must contend. As a result, they don't expend as much energy as their river dwelling cousins. This excess energy is instead channeled into growth. 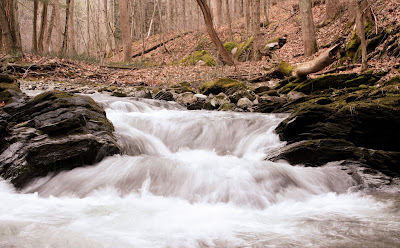 This growth is fueled by an abundance of forage, which is generally lacking in rivers. Quite simply, lake fish have more to eat and work less to earn a meal. They grow more quickly, and to larger proportions. For river-loving fly rodders, the implication is that trophy river fish are not to be measured on the same scale as trophy lake fish. 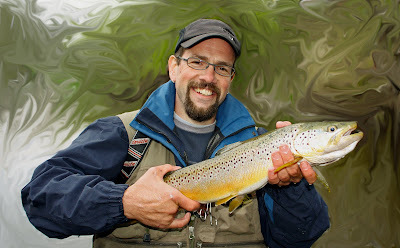 A ten or twelve pound brown trout is likely one of the largest - if not the largest - of its species in the Battenkill. 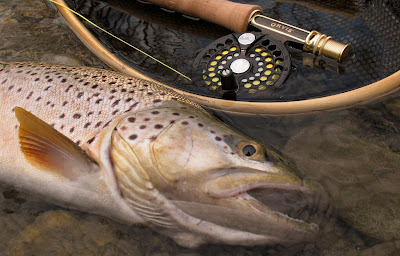 In a ditch like the Salmon River, a tributary to Lake Ontario, ten or twelve pound browns are respectable but hardly kings of all they survey. Owing to the aforementioned biases, I viewed such enormous lake bred fish with a little bit of disdain. 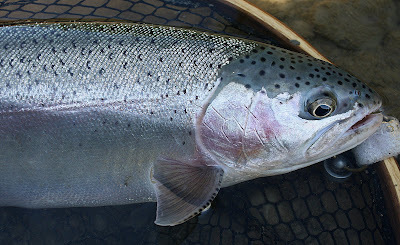 Unlike so many of its Salmon River cousins, Ben's fish didn't have a mark on it: not a single lamprey scar, no obvious hook marks, nothing (see below). This is exceptional because the fish was caught in the river's upper-fly zone. 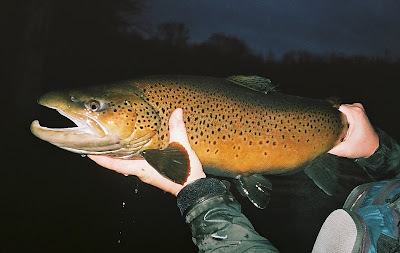 He swam through miles of heavy flow, past fly-rodders and bait dunkers, meat fishermen and catch and release anglers, newbies and river veterans alike. He managed all that in a river that sees more fishing traffic than most any other body of water within 300 miles. 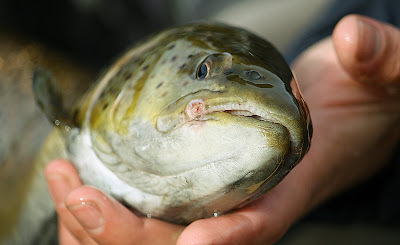 You might say these lake-run fish contend with challenges that river bred fish simply do not face. What a fish. Much respect. 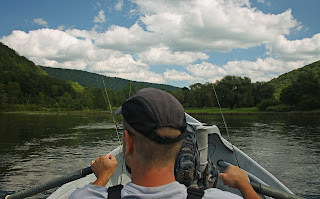 One week ago today, I was knee deep in the Salmon River, thinking about baseball. Standing in the icy water, my mind went back to October 31st, Halloween. Amy and I had already taken the triplets from house to house, fed them each a few diminutive bites of chocolate, and tucked them into their beds (it didn't go quite so smoothly, but I'll spare you the details). The rain came intermittently, the trick-or-treaters stopped ringing the doorbell, and we were anxiously settling in to watch our beloved Yankees in game three of the fall classic. You have to love October baseball: the history of the game, the anticipation of each at bat, the drama of a game changing error or double play. That isn't to say that baseball takes on some sort of mythical ethos in October; rather, the game is much the same as spring and summer ball. In October, however, the mood changes. The tempo changes. Everything surrounding the game is just a little more intense. When the playoffs, pennant, and World Series arrive - decked out in all their autumnal splendor - much of America stands up and takes notice. Such was certainly the case with game three of this year's series. The Yankees were down by three runs after the second inning, and tied 1 -1 in the series. After much weeping and gnashing of teeth, my wife squealed as Alex Rodriguez found his post-season mojo, and knocked a disputed home run off a camera mounted on the right field wall. Johnny Damon later had an amazing at bat, resulting in a two-run double that put the Yankees ahead. True to their form throughout much of the season, the boys in pinstripes came from behind to win in the clutch. It was almost too much to take, and I nearly had an embolism. The Yankees took the series after six games. So there I was, knee deep in the Salmon River, and I couldn't stop myself from thinking about that particular game. The correlation should be obvious to anyone familiar with what might arguably be the most renowned of the Great Lakes' tributaries. 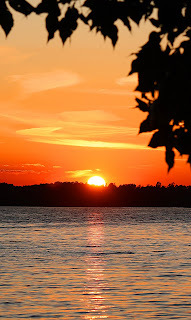 Would the river gods - who had denied me any success all day - allow me a glimpse of grace? Would I have my moment, my ninth inning glory, my come from behind victory? Yes. Before that moment came, however, I had to pay a price. The gods demanded a sacrifice on the altar of chrome, a virgin sacrifice. 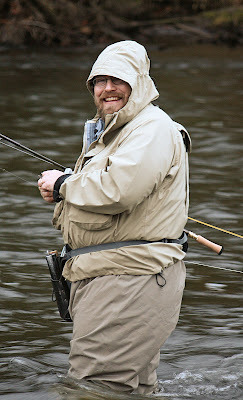 Prior to this trip, I committed to purchasing a new steelhead stick. She arrived precisely one week before Ben, Shawn, Tim (pictured above) and I were to meet at Brenda's Motel and Campground (a stay at Brenda's is an experience unto itself). She was a glorious, bright blue with gorgeous appointments, and from the moment when I first opened her tube - wrapping my hand around her velvety smooth and meticulously shaped cork - I knew we were destined for a loving and intimate relationship. She was glorious, and she exploded immediately below the mid ferrule only two hours after we began fishing. 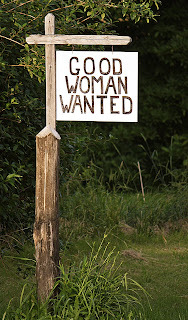 She may have arrived on the river's shore a virgin, but she left - carelessly discarded behind the passenger seat of Shawn's truck - a vile, soulless whore. When Blue finally returns, she'll have some explaining to do. Fortunately, Ben had the good sense to bring an extra rod, a reliable friend that he was more than happy to share with me. It was that rod that I cast the better part of the day, and it was on that rod that I finally hooked some steel. The fish hit just before the end of the day, took me 100 or so feet downstream in a series of hot runs, and finally came to net with a sour look on its face. One might ask if the cost in time and treasure is worth a single fish. If you find yourself asking that question then you've clearly never hooked up with Papa Chrome. If I could make the trip every week, and had to swallow both my pride and a broken rod each and every time, then I'd be seeing you on the river. For now at least, it's Rusty Spinner (1) - Salmon River (0). What follows is the text of an email I received from friend and well known realistic tyer Bob Mead. 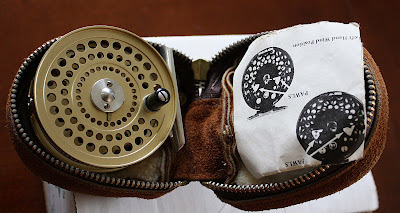 He and David Martin, also a tyer of realistic flies, are starting a new auction site that may be of interest to the few folks who read my blog. Check it out and give 'em a shot. David Martin and I are starting our own auction site for both buyers and sellers. We decided that for $0.50 the seller can list any item at any price. This insertion fee includes the listing, up to 4 pictures, and a view counter. If you go to the site and make like you are listing an item the prices for additional auction helpers such as Bold print, Highlite, and featured item, all very low, will come up. There will be NO final price percentage fee. David is trying to use the BANNER to let people know that there is no final price fee as he can't just go in on the fee schedule and put it there, he can only change charges and fees prices. It's just the way the program was written by the guy who created it. We'll figure it out. We were originally going to charge a constant 2 percent final price fee and give everyone a 20 dollar credit toward that final fee, but the guy who created the auction site would have to rewrite the program. He liked the idea and sometime in the future may incorporate it. So basically, a seller can list any item for 50 cents and have no further charge for selling it. No charge for Buy it Now either. Google won't pick it up for a week or two. We have many venues to promote it plus all our personal collectors of our flies and other FF goodies, plus lure collectors have already been notified. This is going to be interesting. I'll be listing stuff myself. I hope you will give us a try. Please register. You can sell and buy. To sell, we have paypal to register accounts, so we can get our tiny fees, plus we will take m.o. 's from sellers so they can open an account if they don't use paypal.. We want to stay away from CC's although individual sellers can select any type of payment from buyers they want and are not limited to one type of payment. After that you must have sent in a m.o. $25 or more, or used your paypal to place a working balance in order to sell. You don't need a balance to buy. Payment is between you and the seller who will list the type of payments he/she will accept. In 280 B.C. and again in 279 (I refuse to use the politically correct "B.C.E.") King Pyrrhus of Epirus devastated his Roman opponents on the fields of Heraclea and Asculum respectively. Following the battle at Asculum the Greek historian Plutarch recorded Pyrhuss' reaction. The translation reads something like this, "One more such victory and I am lost." Pyrhuss, it seems, sacrificed too many men to achieve a favorable end to the war. Although they were clearly defeated and suffered terrible losses, the Romans were better able to gather new recruits and resume the fight. Pyrrhus' own army was decimated, and he did not have the resources of his Roman counterparts. By winning the battles Pyrhuss lost the war. From this page of history we draw the term "Pyrrhic victory," which has come to suggest a victory that has been won at too dear a price. The spring of this year witnessed the kind of fishing about which most of us dream. 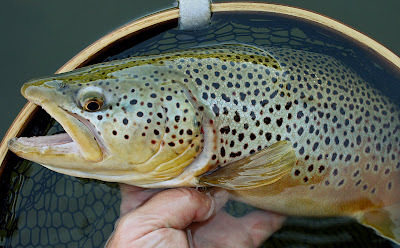 The hendricksons came in tremendous numbers, and it seemed as if every big fish in the river was regularly on the feed. 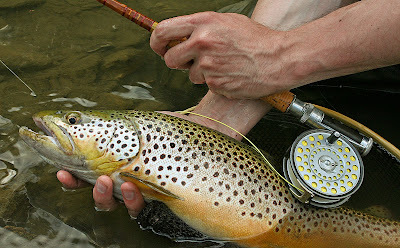 Ben, Adam and I had more than just a few days when several twenty inch browns came to net. On one such day, Adam (the lucky SOB) took a twenty-four inch hen, and just a few moments later followed it up with a twenty-three inch kype-jawed male. Days like that are almost unheard of in this neck of the woods. Yes, the spring of 2009 was glorious. Summer, by way of contrast, has been abysmal. Without consulting a local meteorologist, I would guess that since the end of June we've averaged two or three days of rain per week. The near continuous rainfall has had the effect of raising water levels in all the local ditches, and maintaining flows that just aren't conducive to fishing. Last year at this time I was averaging three or four days on the water per week (despite the triplets having just learned to walk). What am I averaging this year? Let's just say that I was never any good at fractions. It seems I spent all my mojo during the spring, and that I've nothing left with which to finish the season. What then should a fisherman do who appears to have angered both the river and weather gods, and has virtually no hope of catching a fish? If you're reading this then you likely know the answer. When one is tormented by high water, horrible weather, and a gnawing desire to wet a line then one follows Pyrrhus' example and fishes regardless of normal considerations. That's what we did yesterday at any rate, and that's what we'll do tomorrow. Yesterday, we caught fish; a surprising number of fish. Tomorrow, who knows? 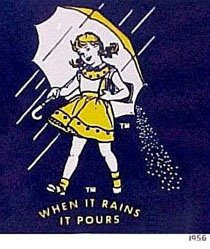 Maybe we'll find just a drop or two more ju-ju, and continue to fight the good fight. One Dodge Grand Caravan. Two delusional, under medicated, overly enthusiastic parents. Three, two and a half year-old maniacs. 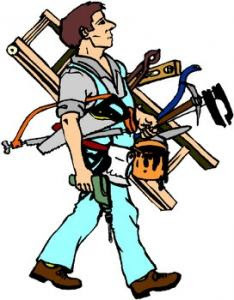 Would you believe Big Daddy forgot to pack his gear? Yup. I left it all sitting on the porch, and there it remained until I returned. I had a free pass from the boss, and had even looked into booking a guide on the rat's lake. I was actually a little disappointed. There's a certain novelty to fishing in the foreground of Cinderella's castle. My wife says not to worry as I'll have a chance to fish the lake next year, when we take our next trip. Are you kidding me? Freakin' rat. I'll be signing off for a week or so, as the triplets, the wife and I are making the drive to Florida. The kids are excited about the prospect of seeing Mickey's Castle. My wife is excited that the kids are excited, and I am dreading the whole ordeal. Why? For starters it's freaking August. I weigh nearly three bills on a good day, and over three bills every other day. I'll be sweating more than a stray dog in a North Korean prison camp. Then there's the fact that my children are all of two and a half years old. Take a moment to consider all that implies. Two girls and one boy, each of whom has recently begun potty-training and taken a special interest in the others' genitalia, strapped in adjoining car seats for over twenty hours (one way). Sound like a good time? Johnny, you bet it does. There had better be some willing bass in that freaking rat's lake. About two months ago I visited my doctor about some pain I'd been experiencing in my abdomen. After a short examination he declared that I had a hernia, and he scheduled an appointment for me to visit a surgeon. One week later I found myself in that surgeon's office explaining that I needed to postpone the operation until mid winter. Naturally, he recommended I have the procedure done immediately. "You'd be up and about in only a few days. Why wait so long?" Clearly, he wasn't a flyfisherman. He knew nothing of the hendricksons that were, at the time, coming off the water in tremendous numbers. He knew nothing of the sulphurs, which would follow the hendricksons. He knew nothing of brown trout, rainbow trout, brookies, largemouth and smallmouth. He had never double hauled an entire fly line, or lusted after another bamboo rod. The point is that at the time, I had months left in an already far too short fishing season, and I wasn't going to miss even a single day. My wife thought my decision was foolish. Adam disagreed. 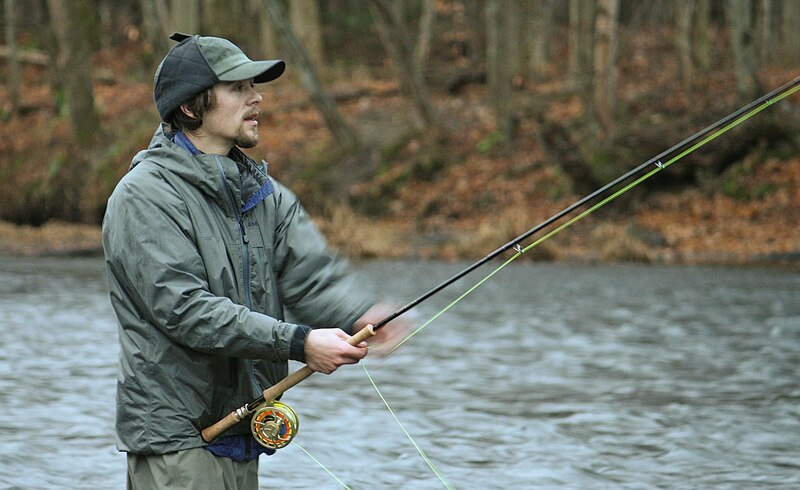 Adam is one of the most focused fishermen I know. Strike that. Adam is, without a doubt, the single most intense angler I know. He is keenly perceptive, and purely analytical. If the Battenkill were a place where no man had gone before (sadly ... it is not), Adam would be a Vulcan and his flyrod a tricorder (yes Virginia, I am a geek). The man doesn't just go fishing. 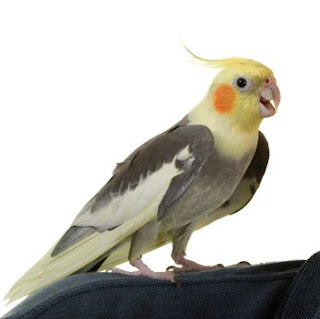 He weighs all the variables: air temperature, water temperature, cubic feet of water per second, weather forecast, historical climatic trends, prevalent hatches, and moon phase (by this I mean the moons of Jupiter). He knows when fish are going to be active, and he makes sure to be on the water when they are. Which brings us to May 31st, 1998. Adam thought it would be a perfect day to fish, and I suppose that when one looks at the variables he was absolutely right. 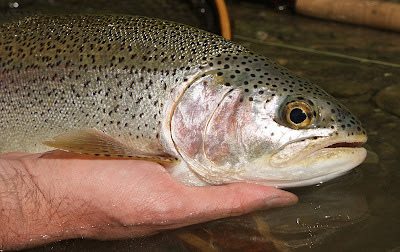 The river was running at roughly 150 cfs, which is perfect for drifting a pair of nymphs. 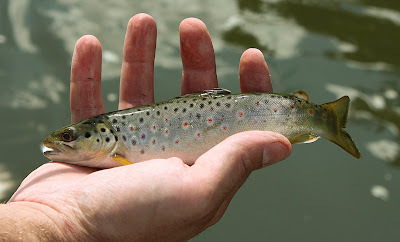 The fish had been active during the previous week, having the tail end of the hendrickson hatch to enjoy. 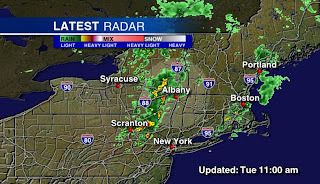 A cold front was threatening, but had not yet moved into the area. If I hadn't been committed to a backyard barbeque with my fiance's family, I probably would have joined him. Everything was looking good. Yep. Everything was wonderful until the tornado touched down. The worst damage was had by the city of Mechanicville, where 215 mph winds were recorded. Dozens of homes were destroyed, any number of injuries were reported, and five people lost their lives. The storm tracked for miles, slowly losing intensity. By the time it reached the river, homes and barns were spared, but trees along hundreds of yards of shoreline were either uprooted or snapped like so much kindling. Where was Adam through all of this? Would you believe he fished through the storm? Think about that the next time you find yourself casting a four weight and cursing the wind. Not too long ago, I was recounting these stories to a colleague. Her response? "So. You must really like to fish."